Performing new works by Anthony Gatto and Erin Rogers and the world premiere performance of Harmonixity by Richard Carrick. 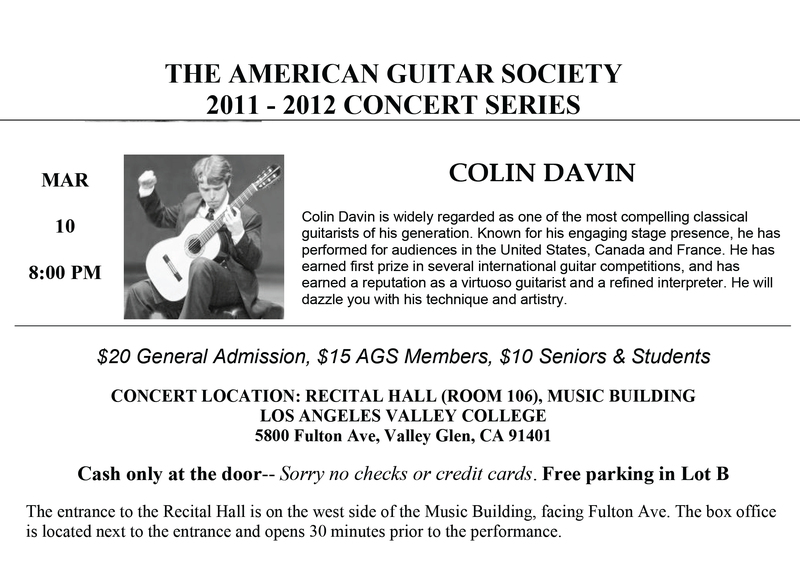 Premiere of new work for solo guitar by Erin Rogers, commissioned and performed by guitarist, Colin Davin. 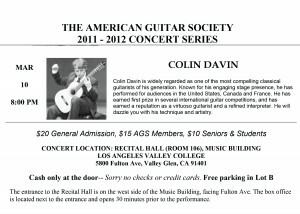 Colin Davin is widely regarded as one of the most compelling classical guitarists of his generation. Known for his engaging stage presence, he has performed for audiences in the United States, Canada and France. He has earned first prize in several international guitar competitions, and has earned a reputation as a virtuoso guitarist and a refined interpreter. He will dazzle you with his technique and artistry. Experimental ensemble thingNY is excited to announce the brand new Seven Immediacies Series debuting this March at Brooklyn venue Vaudeville Park. This music series is thingNY’s first official foray into curating a series as a group. thingNY’s goal for the Seven Immediacies Series is to present ambitious new well-developed works by artists who maintain a high standard of performance. Each installment of the series will pair local and visiting emerging classical and experimental artists with a large-scale new work, difficult to program because of its extreme length or unusual ensemble. The series will be presented in seven installments from March to July 2012. 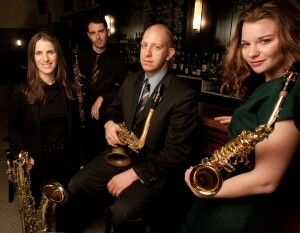 Founded in 2011 in New York City, the New Thread Quartet is committed to the creation and performance of saxophone quartet repertoire from New York’s burgeoning new music scene. Members of the ensemble are active as composers, performers, educators and industry professionals, and hold degrees from the most prestigious conservatories and music schools in the US and Europe.Still in its inaugural year, New Thread has given 3 concerts of works by New York composers, performing at George Mason University in Fairfax VA, SUNY Potsdam, and South Oxford, Brooklyn. With a mission to bring the city’s music to the ears of young saxophonists and enthusiasts beyond the 5 boroughs, New Thread will perform at the 2012 NASA Biennial in Tempe, Arizona, and the upcoming World Sax Congress in St. Andrews, Scotland. Tonight, New Thread is presenting new works by composers Richard Carrick, Anthony Gatto, Gilbert Galindo and Erin Rogers. New Thread is Geoffrey Landman,Kristen McKeon,Justin Marks and Erin Rogers. Cataract, devised by Paul Pinto, is the inaugural project by the newly assembled, tentatively titled The Harvard Institute Drumset Orchestra. Comprised of percussionists near and far, Cory Bracken, Michael Evans, David Grollman, Mike Perdue, Mike Pride, Paul Pinto, and Julian Sartorius, Cataract is an hour-long cascading roll exploring all the surfaces of six drum kits. Excited to perform with Scott Stein & His Well-Groomed Orchestra! at the George Mason University Center for the Arts in Fairfax, Virginia. Program will include the world premiere of “Plastic Facts” by New York based composer, Anthony Gatto and a performance of “Duluth” (2010) by Erin Rogers.